The role of the banking sector in economic transformation is significant as banks play a vital role in providing the desired financial resources to the needy sectors. Bank itself posses the controlling power of the economy. The flow of money person to person, business to business, country to country just due to the banking system. Banks fuels the economical vehicle to run smoothly, and also said as the backbone of the economy. “NPA’s Non-performing assets are the assets of the banks which are not performing, banks to run the economy also provide short-term and long-term loans to the industries, individuals, farmers, a bank also gives loan against the home, vehicles and many more. In some cases, the borrower unable to pay the interest amount on time as well as unable to return the principal amount too, in that case, bank declares that amount as nonperforming. The bank also runs the recovery scenario for that amount, the impact of NPA on the profitability of banks brings a dent on the balance sheet of the bank, but until then the amount is nonperforming. The increase of Non-Performing Assets also affects the expectation of Stakeholder as well as investors, Banks has to run the proper evaluation of the proposal at the first instance, this will reveal the status of unviable projects too. Bank need to collect full information about Industry, management, future prospects etc before approving the Loan. 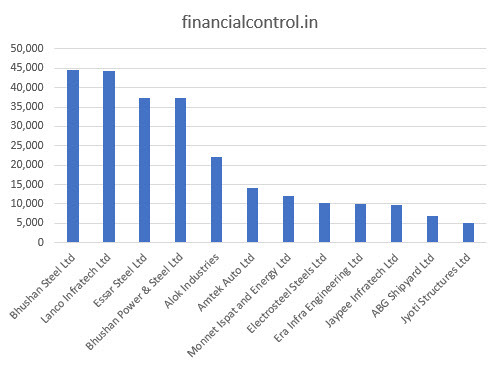 Is 25% of NPA Under Big Bulls: (Need to known)? How do you explain non-performing assets in simple words? What is Gross NPA and Net NPA? How will a bank’s NPA affect the common man’s savings? High Non Performing Assets are the foremost problem for the banking system for any economy, that shakes the whole banking system of the country. The confidence level of the investor, Depositors, Stack holders also effects. This also causes the rotation of money. Non Performing Assets not only reduces the profit of the Bank but also increases the Loss. Also, banks also providing 25 % to 30% additional provision on Non Performing Assets which directly impact the Profitability of the Bank. Due to high Non Performing Assets, Bank for forced for lower the interest rates of the deposit and on advances likely to pay Higher interest rates on advances. This situation is a very difficult situation and also hamper the banking business. Not in the Banking sector, but shareholders need their money in safe hands, Shareholders are interested in the enhancement of investment and market capitalization. High Non Performing Assets reduces the confidence level of the investor which significantly impact the Share price of the Bank in this situation, banks stop payout of dividend to the shareholders, which was not in the interest of the investor. The poor performance of the Bank due to increases in Non Performing Assets not only lower the sentiments of the investor but the bank also lose the faith of Public, this directly affects the deposits into the bank. High Non Performing Assets affects the economy as a whole. NPA and society are parallel paths move together for the growing Economy. NPA’s are the loan provided to the business companies which are not in the slab of performance. 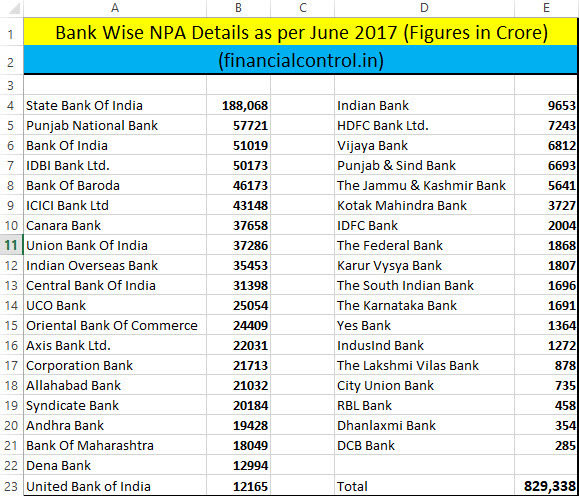 State Bank of India grabs the largest share of 1,88,068 cr of NPA. Higher NPA reflects the reduction of interest rate on the deposit into banks, only poor public directly impact the consequences of Higher NPA’s of the bank. NPA plays an important role in every economic condition and also the main cause of the increase in the current account deficit. Interest rates, Loan, Housing Loans, CRR, SLR all are directly affected by the system. The Corporates also affect the impact of higher NPA. Higher NPA’s in banking system losing the confidence of shareholders, and the depositors, they are switching the segments and losing the trust in the system. Increase in NPA not only affect the public but also affecting the serious honest borrower with good credentials and credit ranking. they have to suffer and on the other hand, the economy is losing hope of improvement. The Government of India making lots of changes and making things transparent to keep the level of NPA under control and also trying to get it reduced, some of the major steps which are required to implement to improve the Banking situation. Its high time bank has to think conservative if the banks only think of distributing loans and increasing the numbers just to take some benefits in the form of subsidy from the Government of India, they are also increasing the number of NPA. Bank has to tighten their scanner of selection of borrower not only through credit rating but also have to investigate the previous performance of the company and the members of the company, whether anybody is being defaulter in their past performance. That will not only save the bank but also the shareholder confidence. Why banks wait for the Loan for converting into NPA, and allow the borrower to restructure the loan, this act cause loss for the bank and have a greater chance of getting the Laon into Non-Performing Asset (NPA), rather then relying on restructuring bank needs to take the proper examination before releasing the Loan. According to RBI just 12 companies are under the radar of bankruptcy and are holding 25% of Gross Non-Performing Asset (NPA) in Banks. Looking at the above scenario, is there any action plan ready for the government and Finance Department, the amount of money involved in this Non-Performing Asset (NPA) must be utilized to other segments of the economy like employment, food, health, farmers etc. Apart from releasing Loan to the Corporates, the Government has to work on the platform to reduce NPA. Also Read:- How Mutual Funds Make You Rich (Assured Return)? Non Performing Assets (NPA), the assets which bring zero return on the assets to the banks or corporates. Considering an example, If you invest your savings in diversified form and the return on investment in a particular segment is not as per presumed, the performance of the asset is said to be “non-performing asset”. Standard Assets brings regular income to the organization, Such an asset should not be an NPA because of the risk of borrower fails. In some scenario, standard assets are leaded to get fixed income, if the borrower fails to make repayment regularly and on time, the standard assets said to be NPA. The assets which repayment is due for more than 90 days but less than 1 year. Earlier credit card users would get 120 days before being classified as NPAs, as per new amendment if the minimum card payment is not paid within 90 days, it would be treated as sub-standard assets. 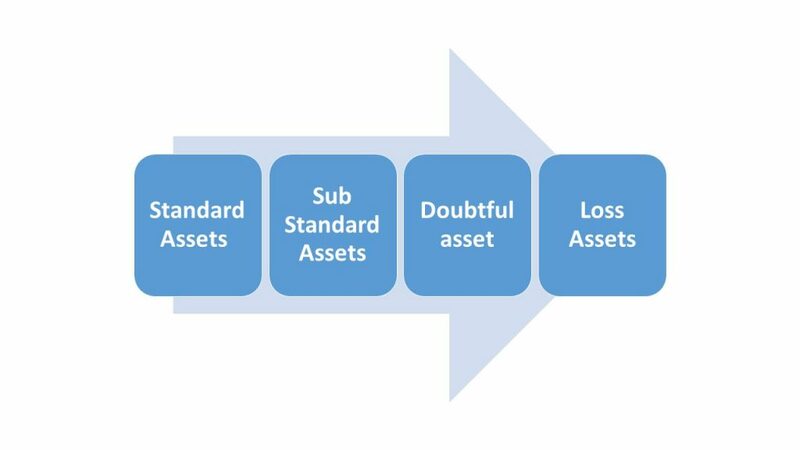 Doubtful assets speak itself and explain the meaning, in this category if substandard assets remain unpaid for more then 12 months. Going further, doubtful assets are those advances that have a considerable list of defaults or are regularly failing to comply with the norms of “standard asset”. When the performance of the assets across all the levels of substandard and doubtful category and audit team also declared the loss of the asset, An asset as NPA for a period of more than 36 months is treated as a lost asset. The biggest reason behind NPA is “not taking the assets seriously“. If the lender lends money to the borrower, the main scenario behind is open a new loan account and the concept of competition bring the companies or banks balance sheet into the black hole. In the same way, the borrower not bothers in return and treat the loan as a liability, what would be the credit rating if you fail to pay your installment, this is out of the question. Not every company performance is bad, its all about the economic condition and changing business Environnement. Gross NPA is the total outstanding amount on borrower which include (principal, interest or any other charges), on the other hand, Net NPA is the amount on borrower after deduction of interest and payment made). DRT is specially designed to deal with the cases of fund recovery which allows financial institutions to speedily recover dues of ₹10 lakhs and above. Under this one-time settlement scheme, the leader (bank) agree to compromise under one time installment which is lesser then due on the borrower, the rest of the amount of waive-off or write off. If we talk about a common man saving, it’s a serious matter because they don’t have any other tap to fill their water tank, they have only one source of income. whether the saving is under threat of NPA for the common man. The government of India is taking the step to make sure that the saving or investment made by the common man into the banks are under the umbrella. Its high time we have to open our eyes and start diversification of our fund, depending upon trusted bank like SBI or ICICI bank is not 100% sure. We must start investing in mutual funds, equity market, bonds etc to cover up our insurance and money health. The Financial results of the bank viz. Net Interest Margin, Return on Assets, Profitability, Dividend Yield, Credit Contraction etc. while will impact the valuation of the Bank. On the other hand, Investors waiting to invest in the bank, will watch and wait for the correct valuation and then invest when the NPA issue is under control. At that time the investor will get the share price at a lower valuation.